Furazolidone is used to treat bacterial and protozoal infections. It works by killing bacteria and protozoa. Some protozoa are parasites that can cause many different kinds of infections in the body. Furazolidone is taken by mouth. It works inside the intestinal tract to treat cholera, colitis, and/or diarrhea caused by bacteria, and giardiasis. The dose of Furazolidone will be different for different patients. Follow your doctor's orders or the directions on the label . Drinking alcoholic beverages or taking other alcohol-containing preparations while taking furazolidone may rarely cause problems. Do not eat foods that have a high tyramine content. Do not eat or drink large amounts of caffeine-containing food or beverages. If your symptoms do not improve within a week, or if they become worse, check with your doctor. Tell your doctor if you have ever had any unusual or allergic reaction to furazolidone or to any other substances. Do not take Furoxone during the breast-feeding. Fever; itching; joint pain; skin rash or redness; sore throat. Abdominal or stomach pain; diarrhea; headache; nausea or vomiting; dark yellow to brown discoloration of urine. If you notice any other effects, check with your doctor. When you are taking furazolidone, it is especially important that your health care professional know if you are taking any of the following: Amphetamines, Ephedrine, Isocarboxazid, Phenelzine, Procarbazine, Tranylcypromine, Tricyclic antidepressants and others. Notify your doctor immediately in case of a supposed overdose. Keep out of the reach of children. 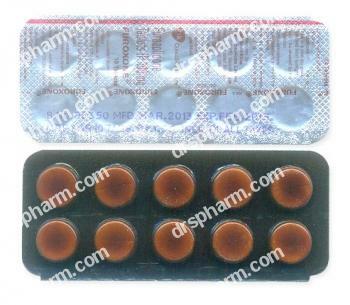 Do not store this medicine in the bathroom, near the kitchen sink, or in other damp places. Keep away from heat or moisture. Do not keep outdated medicine or medicine no longer needed. Be sure that any discarded medicine is out of the reach of children.